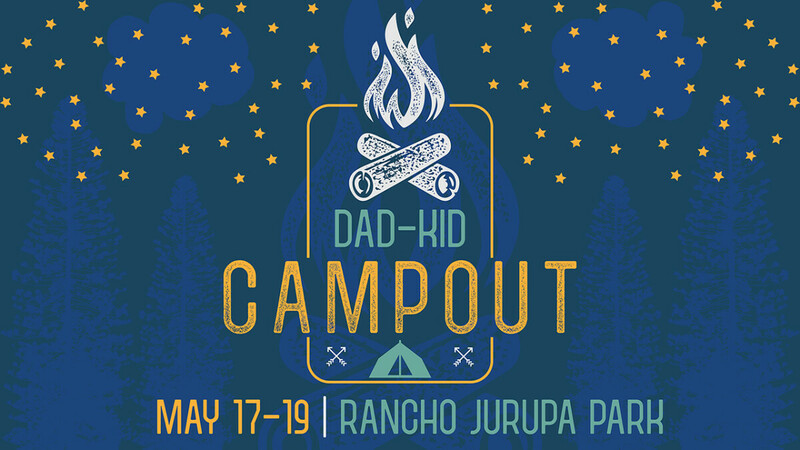 Grab your camping gear, bicycles, fishing poles, games, firewood and coffee, and join other dads and kids as we head out to Rancho Jurupa Park in Riverside for a great weekend under the stars! There will be worship, crazy games, devotionals and great memories that you get to create with your kids! Arrive between 4:00-7:00 pm on Friday (eat before you arrive), and the program will conclude at 11:00 am on Sunday. $100 per family, includes shared camp site, four meals and program. Very limited RV sites are available by contacting . Sorry, no refunds after April 21, due to food and supply purchases. Fishing – $7 adults, $5 kids. Bring poles, tackle and license (required for ages 16+). Licenses and bait is also available at camp store. Disc Golf – Bring your own frisbee!